Eric wrote this short story last Holy Saturday. We feature it this year. Art by Eric Hanna, S.J. 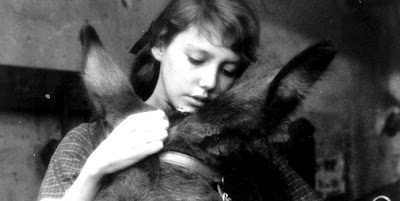 The wind was an everlasting sigh; always changing, never ceasing. The cavern walls sloped up above him on each side, pitted and cut with tombs. Above the walls was heavy earth, hung down with dry, swaying roots. The floor sloped down for a long, long way. The light came from back up the incline. It did not come from a hole in the sky … but rather it stretched wanly down the endless miles of rock, a memory of a reflection of a beam. But low, bend low a listening ear! Of birds and blossoms, leaves and light. As I write this, I am cognisant that this post will appear on Good Friday and remain at the head of our blog until Easter Monday. 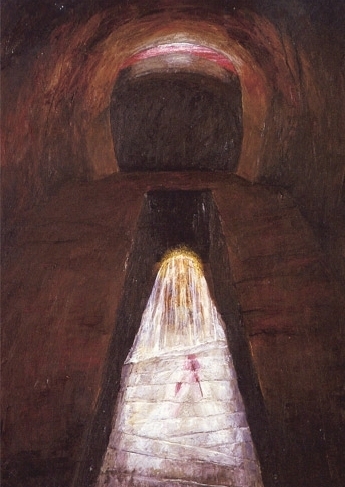 What theme can cover this whole weekend, capturing both the end of Lent and the beginning of Easter? 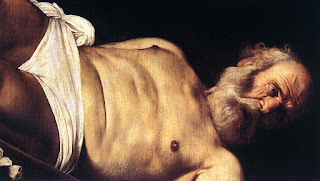 It is a tall order, but perhaps some fruit can be found by splitting the difference and looking at the day that falls in between: Holy Saturday. 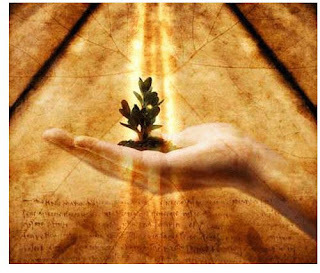 The Christian world enters into its most intense experience of meditation this week. This is the week of lengthy readings and long liturgies. It is our most solemn time of year, the week in which we come face to face with the mystery of mysteries, the climax of the whole redemptive act: the Paschal Mystery of Christ. 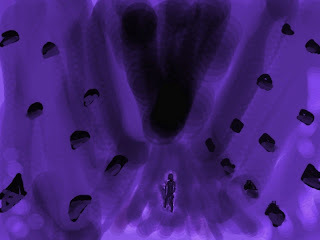 For many of us today, living in the age of cyber-stimulus and multitasking, the act of “entering” into the mystery may have become more difficult. How do we calm our minds and join Christ in the garden of Gethsemane or along the via crucis? How do we accompany Christ in his passion and then rejoice in his resurrection? Often we settle for the platitudinous imagery of yesteryear’s holy cards, or are limited in our mind’s eye to scenes we’ve seen from Christian movies. It is the latter that I want to consider right now, for I sometimes have the suspicion that Zeffirelli has had more to do with my image of Christ than the living Gospels themselves – with no offense to Zeffirelli. 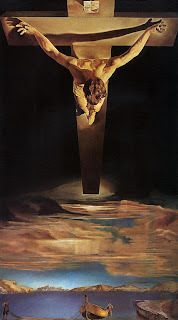 One of the most common devotions during the Lenten season is the Way (or Stations) of the Cross, or brief meditations upon fourteen different moments of the Passion of Christ. Although the practice is common, this doesn't mean that everyone understands why it is done, or why it is beneficial. It is easy enough to just go through the motions and hand in my Lenten homework. This is to say that while some are ambivalent about it, there are also those who really don’t care for it. Therefore, I would like to say a few words about this devotional practice, to clarify some misconceptions and make a few suggestions. Some do not like the Stations of the Cross because it is too gloomy and sad. Sure, the Passion is an important part of the life of Jesus, but why focus on the suffering so much and emotionally beat ourselves up for it? We never watch others being persecuted and tortured for its own sake, anyway. 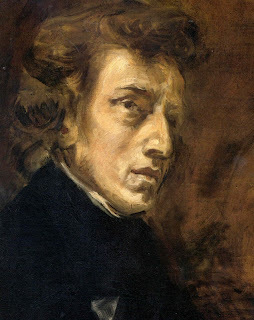 Few people know that many of Fryderyk Chopin’s piano pieces were “musical poems”, that is, music that was inspired by a poem. Words entered the physical world as a sort of incarnation through the sweet music of Chopin. There are some references in Chopin’s letters that his first ballade, Ballade in G Minor, was based on Adam Mickiewicz’s poem Conrad Wallenrod; musicologists tend to agree that the three other Ballades were also based on Mickiewicz’s poems. 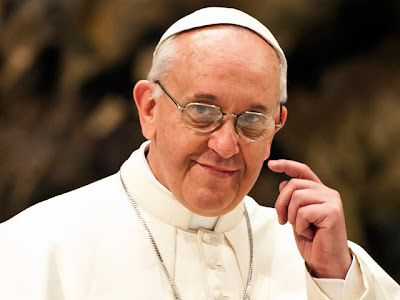 In recognition of the particular significance of a Pope's homily at his inauguration Mass, the editors of Ibo reproduce here the text of Pope Francis's homily, for the inspiration of our readers. 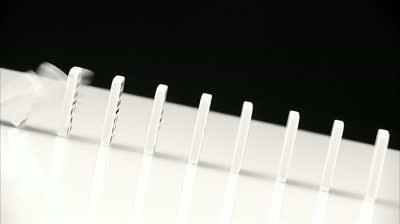 “The medium is the message.” This famous phrase coined by Marshall McLuhan has been in my mind for the last week. McLuhan meant that the form of the medium embeds itself in the message. The election of Pope Francis has further driven home the meaning of that phrase. For weeks, after Pope Benedict XVI announced his resignation, we prayed for the right person to exercise the Petrine ministry. We spent long hours discussing and reading commentaries on the right person for “the job”. We pondered; we waited; we wondered: What kind of a Pope does the Church need today? What will the election of the new Pope mean for the Church and for the world? And then, we prayed some more. The key word in that question is “intend”. The question is not, “Does God want us to suffer?”, or even worse, “Does he get a kick out of seeing us suffer?” The question is has he intentionally and willingly included suffering as part of his greater plan for us. I think it’s safe to say that God doesn’t enjoy making us suffer, in the same way he didn’t enjoy making his own son suffer on the cross. But he let it happen, because he knew of the good that would come of it. On the one hand, suffering is allowed in the Old Testament, because the people have transgressed. On the other, it’s allowed with Jesus because this is part of God’s greater hope and desire for humanity. When Pope Francis publicly appeared for the first time on the day of his election, one thing he did was give a blessing to the crowd. Just before, it was announced that everyone who received it, whether there in person or over the air, could receive a plenary indulgence. Now, of all Catholic doctrines and practices, one hears perhaps the least about indulgences. As far as I can remember, I have not heard a single homily that mentioned them, nor learned about them in religious instruction. There is a kind of vague embarrassment about indulgences, probably since the only thing people know about them is they were associated with scandal that precipitated the Protestant Reformation. However, while many grievous abuses related to indulgences were reformed during the Council of Trent, they have always remained a part of the Catholic Church. What are indulgences, and why might we consider taking them seriously today? There is a new Pope. The speculation and declarations of which candidate would make the best pontiff had reached their fever pitch. Much of what was written was quite valid, but much also missed an important point. 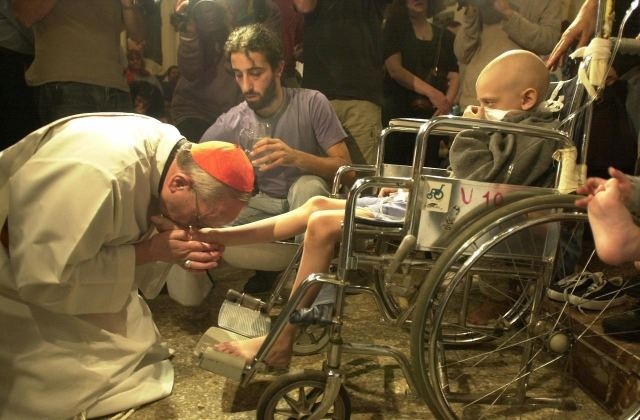 Yes, the new Pope should be a reformer, a pastor and a leader. Really there is no candidate that can fill those almost impossible expectations, plus be a saint, a scholar, a linguist, and a rock star. But we may have forgotten that the Pope must also be a martyr. Indeed, must primarily be a martyr. Let me explain. The Pope must be a martyr because the whole Church is called to be martyrological – that is, a living witness to Christ, and Christ crucified. Since Peter’s foundational declaration, “You are Christ, the Son of the Living God”, the Petrine Office has primarily been about professing this living reality. Jesus responded to this first ecclesial “faith-statement” by declaring that flesh and blood had not revealed this to Peter but the heavenly Father, and that Peter would be the rock on which he would build his church. The church, then, is built upon a public profession of faith. Peter becomes the first credo-bearer – or witness. But there is more. Sports has an important place in the lives of children. Many begin to participate in some forms of it at a young age. For those who don't have a taste for it, they may nonetheless choose to follow some professional sports team for personal interest or familial reasons, i.e. Daddy likes this team, so I like this team too. Growing up as a sickly boy back in the 1990s, I had no choice but to fall into the latter group. I began to follow a British football club called Manchester United, and have remained a loyal fan ever since. This past Tuesday, Manchester United played against a Spanish football club which has just as much glamour and history, in a colossal match, which saw the opposing team manager claim that the world will stop to witness this clash of titans. As exciting as it sounded, this presented a problem for me. Holy Week will soon be upon us. By the time it arrives, we will have prayed, fasted, given alms, done certain pious acts, and so on; in short, we will have been generous toward the Lord and our brothers and sisters. We will have in one way or another participated, at least in a small way, in Jesus’ own generosity as he journeyed to the Cross. 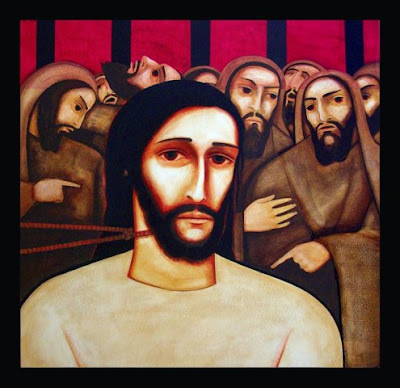 After all, generosity is what Holy Week is really about: Jesus’ kénōsis, Jesus’ self-emptying. “Late have I loved you, O Beauty ever ancient, ever new, late have I loved you! You were within me, but I was outside, and it was there that I searched for you.” This is the way St. Augustine of Hippo described his conversion in The Confessions. He sought beauty, love, truth and joy everywhere, but only found them when he looked within. I have always found comfort and solace in those words. They disclose the journey of a soul as it learns to truly love and to accept True Love. 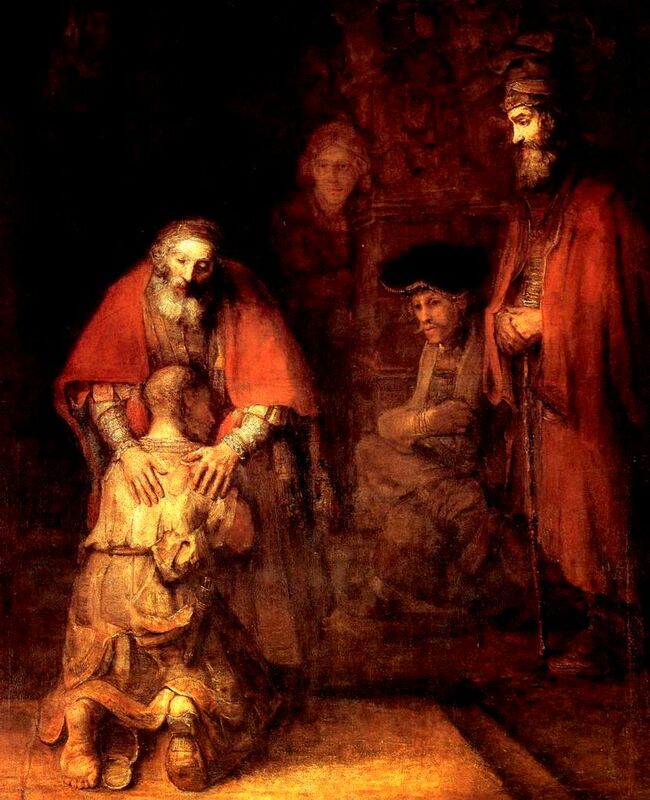 The parable of the prodigal son (Lk 15:11–32), chronicles such a journey – the quest of a wasteful man, through the misery of his own ingratitude, to the joy of restored communion with his father and the members of his household. 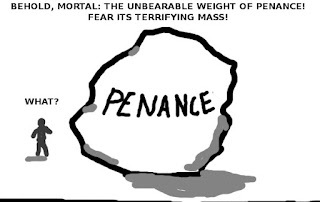 When we first look at penance, oftentimes we can be deceived into thinking about all the hard work it will involve. Penance can seem like a burden: the burden of self-evaluation and the labour of changing one's self. 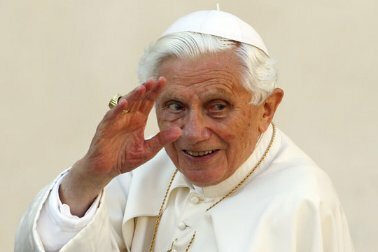 When Benedict XVI was elected almost eight years ago, I knew relatively little about him and I had read nothing by him. Since then, while I have by no means become an expert on his work, I have learned to deeply appreciate his thought. Many of the topics he writes about are well-known and oft-reported in the press―secularism, the interpretation of Vatican II, the spirit of the liturgy, and so on. However, there are two themes in his writing that I think are not dwelt upon enough: the relationship of faith and reason, and the virtue of hope.